Danny Duffy could open the season as a starter in Omaha or a reliever in Kansas City. 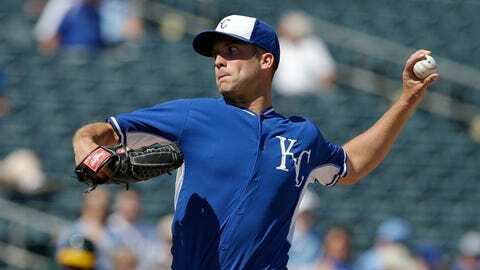 Duffy still could start the season at Triple-A Omaha — as a starter, according to general manager Dayton Moore. "Absolutely, he could start at Omaha," Moore told me by phone. "Right now, Danny feels like he wants an opportunity to win a spot on the big-league roster, and he’ll get that chance. "Maybe he begins the season with us in the big leagues. But maybe he begins the season as a starter in Omaha. I don’t know how it will play out. We can’t make that decision right now, and we don’t have to. "I do know that we’re going to break camp with the best 12 pitchers that will help us win games." And therein lies the issue. Complicating the whole Duffy debate, at least to some degree, is the spring performance of left-hander Donnie Joseph, who has made seven appearances and has yet to allow a hit. He has fanned nine in 5 1/3 innings. "Donnie has been really, really good," Moore said. "He’s just having a super spring." Moore also noted that left-hander Francisley Bueno also was "in the mix." It would be surprising, though, if Bueno surfaced as the winner for the final bullpen spot even though he is out of options. The Royals likely aren’t that concerned about losing Bueno, 33. He was designated for assignment last summer, and after there were no takers, the Royals got him back. Joseph is the more intriguing competition for Duffy because Joseph could be used as a situational lefty. Granted, it is a small sample size, but Joseph has faced seven big-league left-handed hitters, and none put the ball in play against him (five Ks, two walks). In the minors last season, lefties hit just .148 off Joseph. Moore stressed that the Royals will assemble the bullpen with strategy in mind, not the individual needs of one player. "We have to do what’s best for the organization," Moore said. "That’s our first priority. And then we have to manage the player as best we can, and put the player in the best position to succeed. But the organization comes first." The Royals originally had been hinting early in spring that the loser of the Yordano Ventura/Duffy battle for the final spot in the rotation would automatically go to Omaha to continue development as a starter. But Moore clarified that internal debate. "I think that was definitely the case with Ventura," Moore said. "But with Danny, we have been discussing the possibility of him being used in the bullpen going back to even last year. "A large percentage of our people have felt all along it will benefit him to compete at this level and to continue to work on getting big-league hitters out. And if that means it is out of the bullpen, then that’s a possibility. But I just don’t know how it will play out." Moore said he certainly is not opposed to Duffy winning the final job in the bullpen if it were to help the ballclub. "As you know, there was an era in baseball when that’s how you became a starter," Moore said. "First you proved you could get big-league hitters out by working out of the bullpen. Then if you proved yourself, you got a shot at the rotation." 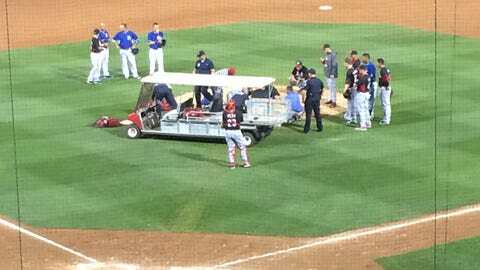 Duffy’s situation probably more resembles Zack Greinke’s, Moore said. Greinke asked to go to the ‘pen in 2007, then returned as a starter and won the Cy Young Award two years later. "Zack felt he wanted to experience the game as a reliever and he wanted to pitch every day for a while," Moore said. "He learned a lot, about how to not pace himself and instead go right after hitters. And we know what happened after that. "Now, whatever happens with Danny, I do know this: He will not throw more than 150 innings in 2014, which is his first full season coming off (Tommy John) surgery. And I also know that his future in this organization is as a starter."